More soldiers. More deployments. More money. Drill sergeants in AIT and the biggest pay raise in seven years. New body armor, guns and uniforms ― and maybe even the return of the World War II-era “pinks and greens” uniform. Also on tap: big changes to Tricare, GI Bill benefits and your retirement options, and maybe ― finally ― a new PT test. Soldiers can expect 2018 to bring many key, critical changes that will impact their lives at home and in uniform. Just in time for the new year, the Army has cemented its top civilian leadership with the swearing-in of Army Secretary Mark Esper. The Army is preparing for a bump in force numbers next year. The Army wants to more qualified soldiers to make their way up the ranks, so officials are working on tweaks to the noncommissioned officer promotion system. The handgun that will replace the M9 sidearm that soldiers have carried for more than 30 years will be rolling out to units in 2018. 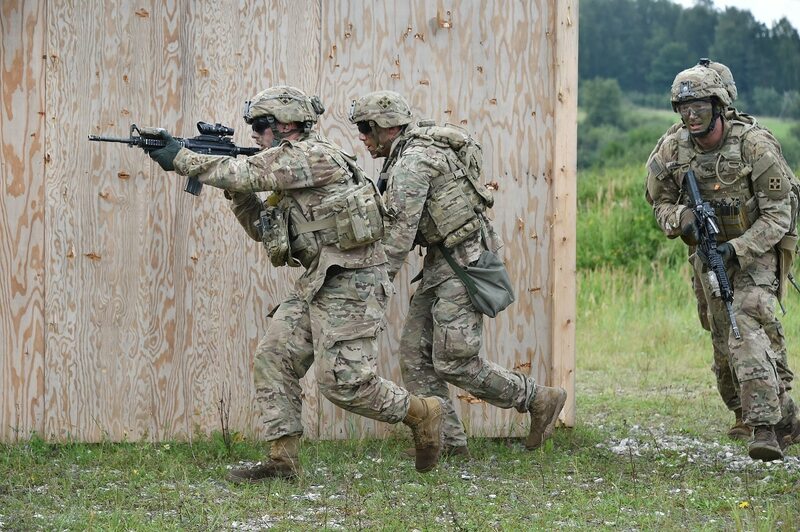 Soldiers will receive new body armor for the first time in a decade. Less than a year since the Army unveiled the new concept of Security Force Assistance Brigades to train foreign conventional infantry, artillery and other troops, the first SFAB is preparing for an early 2018 deployment. As future war planning shifts to confront near-peer threats, Army leaders are looking at their ground combat formations and seeing something missing — a light tank. First unveiled in 2016, the Army continues to hone its concepts for multidomain battle. Soldiers from the 25th Infantry Division will be the first to get the improved hot weather uniforms. The Army will take soldier feedback and see if the boot needs to be tweaked further. The Pentagon will keep vetting grandfathered recruits, but MAVNI still is frozen to new applicants. Defense officials have said plans for more ships, aircraft and ground vehicles will ramp up significantly in the fiscal 2019 budget plans. The Army is working out how to balance the Guardsmen's civilian jobs with the training.